The MCP2155 is a cost effective, low pin count (18-pin), easy to use device for implementing IrDA standard wireless connectivity. The MCP2155 handles for the IrDA standard protocol “stack” plus bit encoding/decoding. The MCP2155 operates in Data Communication Equipment (DCE) applications and sits between a UART and an infrared optical transceiver. The Serial interface baud rates are user selectable to one of four IrDA standard baud rates between 9600 baud and 115.2 kbaud (9600, 19200, 57600, 115200). The IR baud rates are user selectable to one of five IrDA standard baud rates between 9600 baud and 115.2 kbaud (9600, 19200, 38400, 57600, 115200). The serial interface baud rate will be specified by the BAUD1: BAUD0 pins, while the IR baud rate is specified by the Host Controller. This means that the baud rates do not need to be the same. The MCP2155 encodes an asynchronous serial data stream, converting each data bit to the corresponding infrared (IR) formatted pulse. IR pulses that are received are decoded, and then handled by the protocol handler state machine. The protocol handler will then send the appropriate data bytes to the host controller in UART formatted serial data. 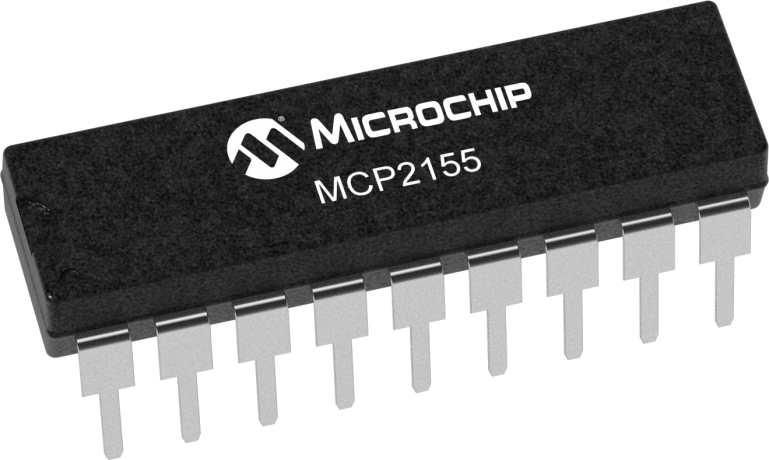 The MCP2155 supports “point-to-point” applications. That is one Primary device and one Secondary device. The MCP2155 is a secondary device and does not support “multi-point” applications. Sending data using IR light requires some hardware and the use of specialized communications protocols. These protocols and hardware requirements are described in detail by the IrDA standard specifications. The encoding/decoding functionality of the MCP2155 is designed to be compatible with the physical layer component of the IrDA standard. This part of the standard is often referred to as “IrPHY”. The complete IrDA standard specifications are available for download from the IrDA website (www.IrDA.org).